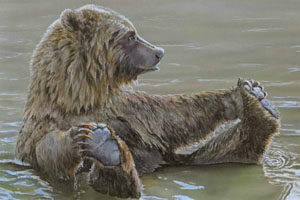 “Bathing Bear” Valerie Rogers Painting of a grizzly just sitting back enjoying his bath time. 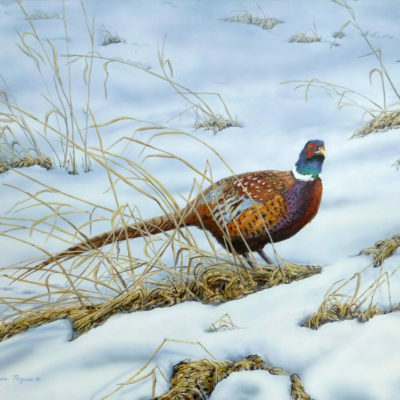 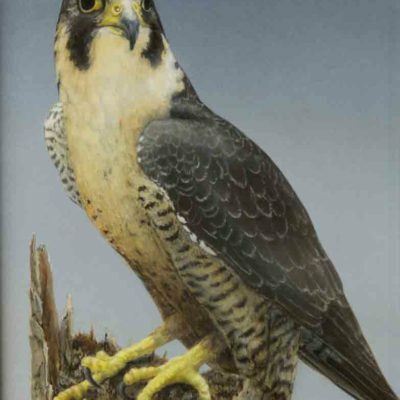 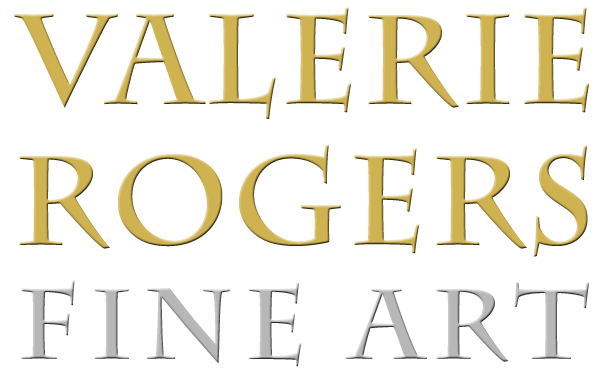 January 2018 – Valerie Rogers of Salmon Arm, British Columbia joins some of Canada’s most prestigious nature artists featured in Ducks Unlimited Canada’s (DUC) 2018 National Art Portfolio. 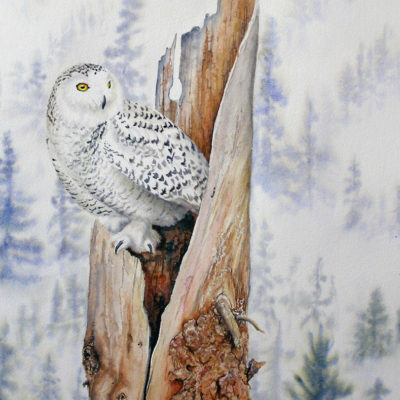 By donating her artwork to DUC, Rogers is helping raise important funds for wetland conservation. 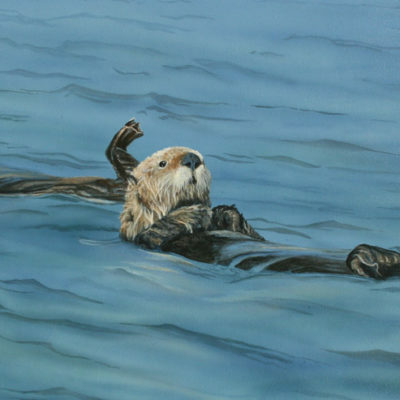 Rogers’ painting, Bathing Bear, is one of 11 pieces selected from hundreds of submissions from artists across the country.